"Save or save not! There is no try!" 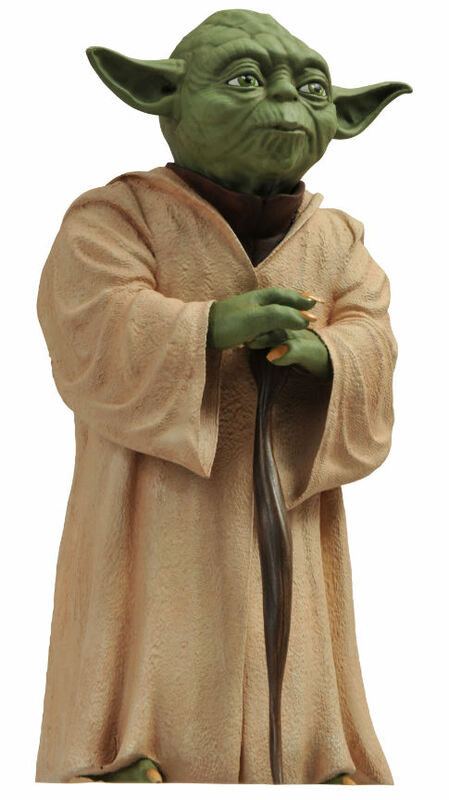 The latest coin-dispensing vinyl Star Wars bank from DST is the wisdom-dispensing Jedi Master, Yoda! Depicting the little green philosopher as he appears in Star Wars Episode V: The Empire Strikes Back, this 6-inch vinyl bank has a coin slot on its bank for depositing loose change, and is in perfect scale with DST's recent R2-D2 bank, as well as past Ultimate Quarter Scale action figures. Judge it by its size, won't you? Sculpted by Oluf Hartvigson!